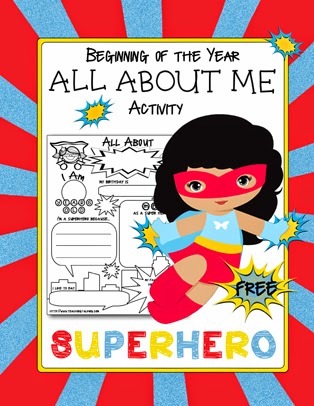 Speechie Freebies: All About "Super" Me! For those of you who are just back to school this week, I wish you the very best of luck with your scheduling! I hope everyone fits neatly into the time slots you have available and you have enough sticky notes to work it all out without losing your mind! I have made this quick print and go activity to help you get to know your students at the beginning of the year. They are sure to enjoy telling you just how "super" they are! You can download your free printable here.